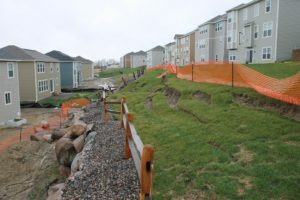 Avoid fines and work stoppages, and protect the waterways your community depends on, by installing and maintaining these EPA construction site stormwater best management practices (BMPs). Click here for construction resources. 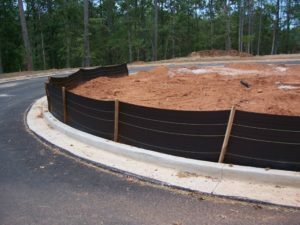 Protect streams, stream buffers, wild woodlands, wetlands, or other sensitive areas from any disturbance or construction activity by fencing or otherwise clearly marking these areas. 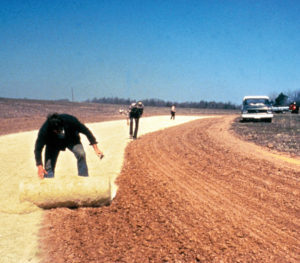 Sequence construction activities so that the soil is not exposed for long periods of time. Schedule or limit grading to small areas. 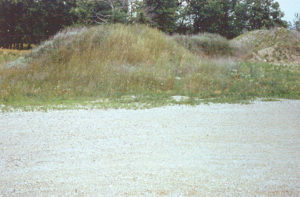 Schedule site stabilization, such as landscaping, to be completed immediately after the land has been graded to its final contour. 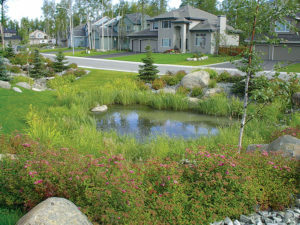 Protect and install vegetative buffers along waterbodies to slow and filter stormwater runoff. Maintain buffers by mowing or replanting periodically to ensure their effectiveness. Vegetate, mulch, or otherwise stabilize all exposed areas as soon as land alterations have been completed. 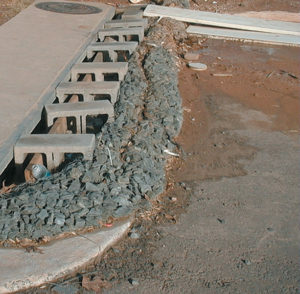 Use rock or other appropriate material to cover the storm drain inlet to filter out trash and debris. Make sure the rock size is appropriate (usually 1 to 2 inches in diameter). If you use inlet filters, maintain them regularly. 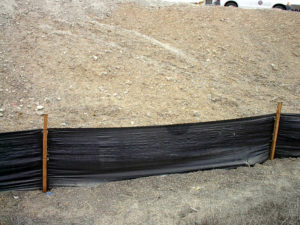 Break up long slopes with sediment barriers, or under drain, or divert stormwater away from slopes. 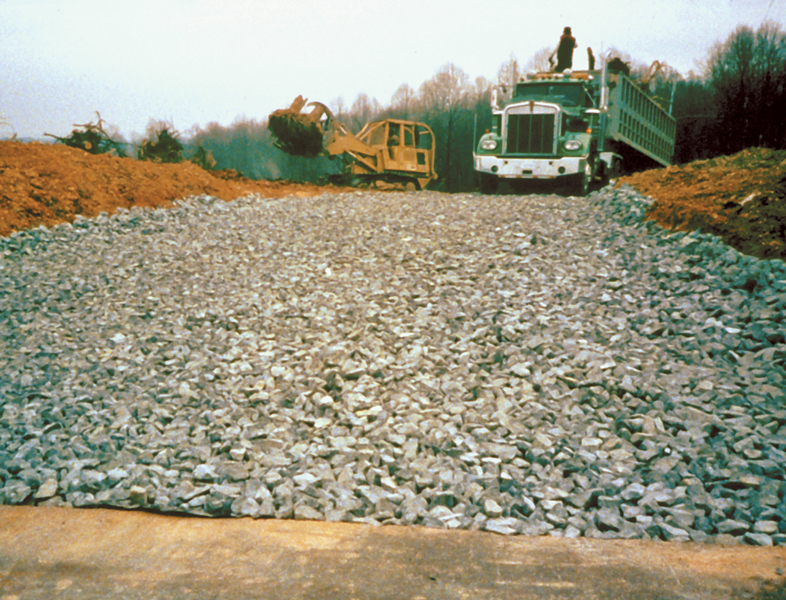 Properly size entrance BMPs for all anticipated vehicles. Don’t place silt fences in the middle of a waterway or use them as a check dam.